This disorder–a progressive thinning of the cornea–is the most common corneal dystrophy in the U.S. Changing refractive power produces moderate to severe distortion (astigmatism) and blurriness (nearsightedness) of vision. Up to 20 percent of people with keratoconus, the cornea will eventually become too scarred or will not tolerate a contact lens thus a corneal transplant may be needed. The most common allergies are those related to pollen, medications and contact lens wear, animal hair and certain cosmetics, such as mascara, face creams, and eyebrow pencil. This is a group of diseases that cause swelling, itching, burning, and redness of the conjunctiva, the protective membrane that lines the eyelids and covers exposed areas of the sclera, or white of the eye. Foreign objects can penetrate the tissue or bacteria or fungi from a contaminated contact lens can pass into the cornea. 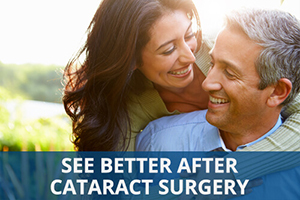 Situations like these can cause painful inflammation and corneal infections called keratitis. The main symptom of dry eye is usually a scratchy or sandy feeling, burning of the eye; episodes of excess tearing that follow periods of very dry sensation; a stringy discharge from the eye; and pain and redness of the eye. This infection is produced by the varicella-zoster virus, the same virus that causes chickenpox, producing a blistering rash (shingles), fever, painful inflammations of the affected nerve fibers, and a general feeling of sluggishness. Corneal problems may arise months after the shingles are gone; therefore it is important that people who have had facial shingles schedule follow-up eye examinations.